No Man’s Sky is now only a couple of weeks away, meaning we’ll finally be able to find out whether Hello Games’ eagerly anticipated video game manages to live up to the hype and deliver a great gameplay experience. And with the game’s release date just around the corner, developer Hello Games has been releasing a series of preview videos focusing on different aspects of the game, so that prospective players can get to know what No Man’s Sky is all about. The first preview video focused on exploration, showcasing the game’s plethora of planets, with the game literally featuring millions of randomly generated worlds for players to explore. 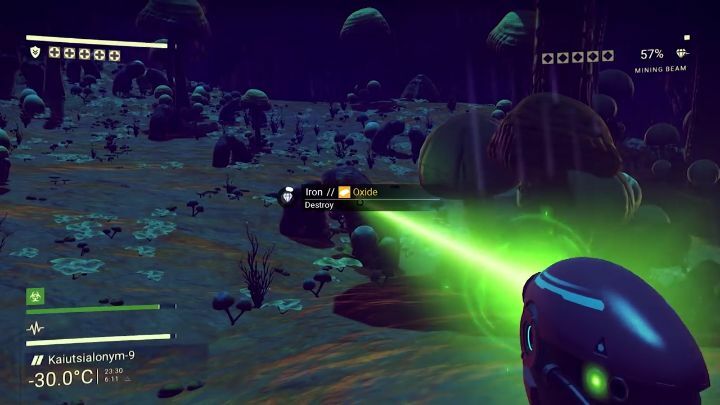 Another video focused on combat, with No Man’s Sky offering both first person combat against hostile lifeforms and robotic creatures on the game’s planets, and spaceship combat too. And this third video in the series focuses on trade, which enables players to make a profit in No Man’s Sky. This can be done by buying and selling resources in the game, with players being able to discover familiar resources like iron in the game’s worlds, and also fictional elements unique to the game’s universe. A strategy to make a killing here would be to sell resources abundant on one planet in other planets where these are scarce, or even craft products from resources and sell these at a higher price (as the video’s YouTube description suggests). Money earned in this endeavour can later be used to buy upgrades for player’s equipment in the game, or spaceship upgrades. It remains to be seen how much fun this trading aspect of the game will be though, and whether the economy in No Man’s Sky will improve the gameplay and make the game a more entertaining experience, but since the game’s release is only a few weeks away now we are closer to finding out whether No Man’s Sky will deliver on its promises when it launches in early August. Note: No Man’s Sky will be released on August 9, 2016 in the US, and August 10 in the UK and Europe. Available on PS4 and PC.